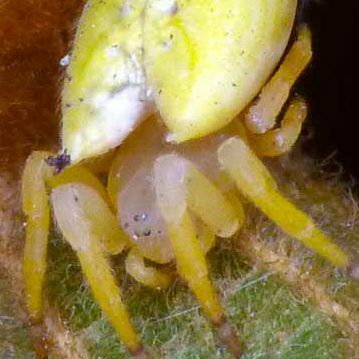 Araneinae is usually considered the largest subfamily of Araneidae in Australia, having more genera assigned to it than any other. It has also been the most in flux as many of its genera were dumping grounds for large numbers of species. In Australia it has been found that many spiders were put into genera that should never have been considered in spite of their similarity to European animals. Some of these are sometimes represented as known to be not correct with single quotes, e.g. 'Araneus'. Australian genera include Acroaspis, Anepsion, Arachnura, Araneus, Cyclosa, Dolophones, Eriophora, Larinia, Lipocrea, Neoscona, Novakiella, Phonognatha, Poltys and Wixia. Backobourkia collina is the most distinctive of all species in the genus. Males are easily diagnosed by their tiny size (body length < 3 mm) in comparison toB. brounii (body length > 5 mm) and B. heroine (body length > 6 mm). Abdominal patterns are unreliable. This small spider about 2mm long) was in a small roughly vertical web with no stabilimentum. 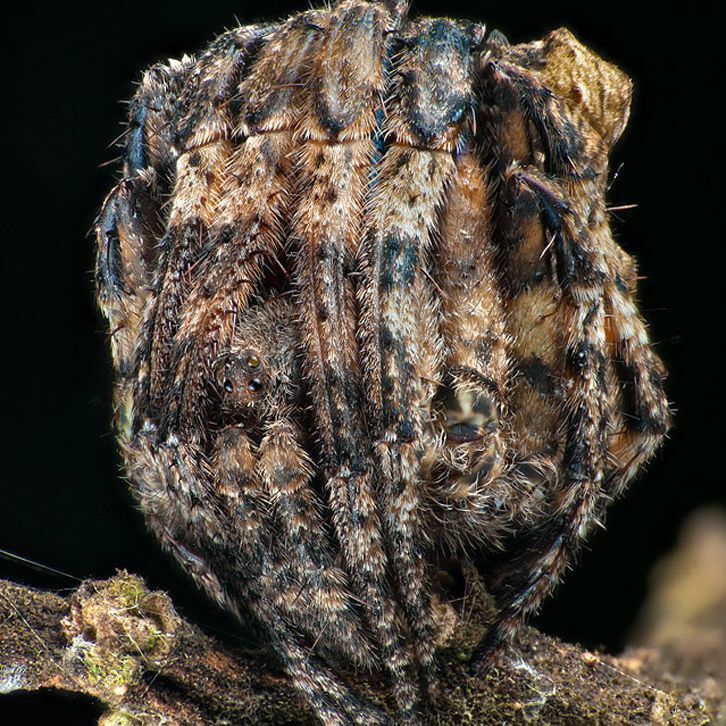 The body shape also looks like that of Cyclosa. A Dolophones male, rather large, being about 10, maybe 12mm body length. It was observed combing out silk with its fourth pair of legs. Location: The Gap. Thanks to Dr Robert Raven for confirmation of the genus. A large, highly variable tropical orbweaver related to the Eriophora group of orb weavers, in gardens, disturbed areas and nearby bushland.